Copyright (c) 2009 by Justine Childs & Rae Kaiser, Outside the Line. All rights reserved. 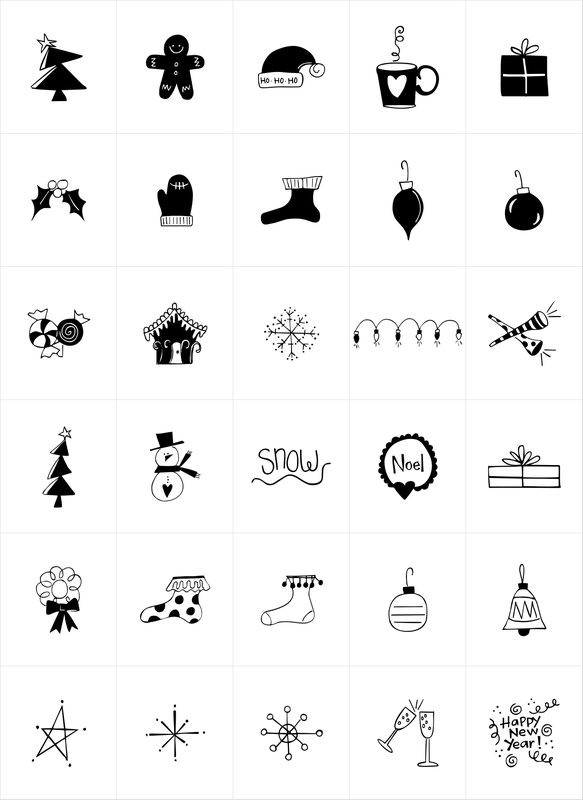 Lots of new Christmas with a dash of New Years... 30 holiday pictures including ornaments, trees, a string of lights, snowman, gingerbread man, gingerbread house, santa hat, snow, noel, presents, holly, wreath, mitten, socks, candy, star, snowflakes plus a few New Year's icons too.